This is a custom built pool home on over an acre. The home is a 4 bed, 3 bath, 3 car garage, with all appliances in great condition. The one acre fences yard has a rear entry that opens to a 90 foot covered RV parking garage on a slab with electric and an attached workshop. The living room has 3 over sized sliding doors that slide into a pocket and open your living room to the beautiful pool. 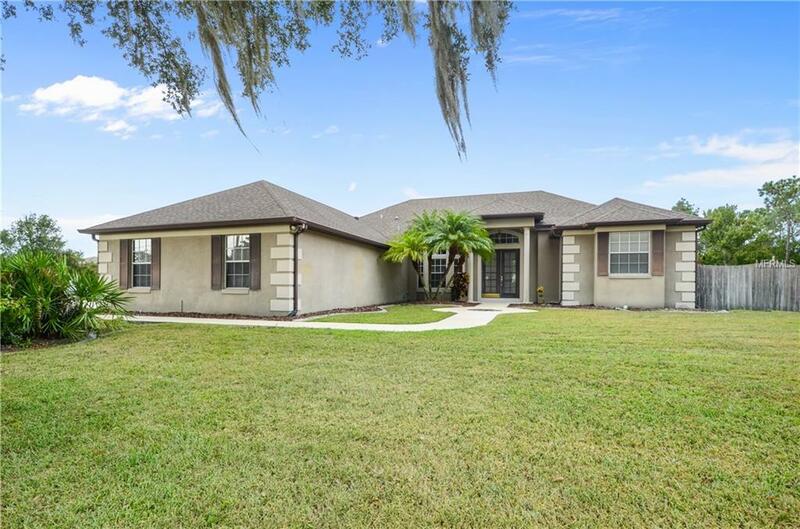 Minutes to Medical City in Lake Nona. Close drive 30-40 minutes to Orlando, all of the attractions and Cocoa Beach! This house is a must see! Washer, Dryer, and lights above the pool in the screen enclosure due not convey. Sold AS-IS. All offers must be submitted on a AS-IS FARBAR Contract.